Performance Care, a combination of techniques that include biomechanics, tissue techniques, and exercises, that acts to improve an athlete's performance in his or her chosen sport. We know that subtle or gross changes in the physiology of an athlete's body can have a tremendous impact on the time and effort required to perform an activity. Active Release Techniques®, or ART® for short, is a hands-on system that treats problems with soft tissues. Because it is hands-on, practitioners can diagnose and treat the soft tissues such as; muscles, ligaments, tendons, fascia, and nerves. 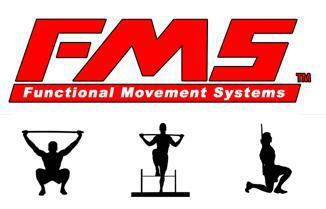 FMS is the screening tool used to identify limitations or asymmetries in seven fundamental movement patterns that are key to functional movement quality in individuals with no current pain complaint or known musculoskeletal injury. Call now (281) 993-4109 for your FREE Consultation! View our patient testimonials or contact us today with a time and date that are convenient for you. We'll find out the "why" behind your problem and how to solve it - and then coach you to better health!